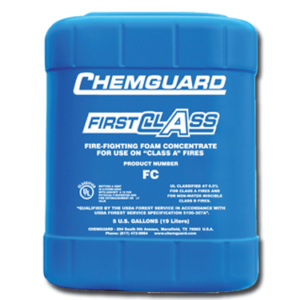 Fluoroprotein Foam Concentrates - SOS Safety International Inc.
Chemguard fluoroprotein foam concentrates contain fluorinated surfactants in a carefully formulated protein foam liquid base. 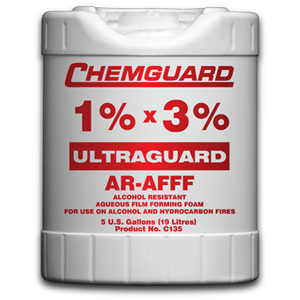 Chemguard fluoroprotein foam concentrates contain fluorinated surfactants in a carefully formulated protein foam liquid base. 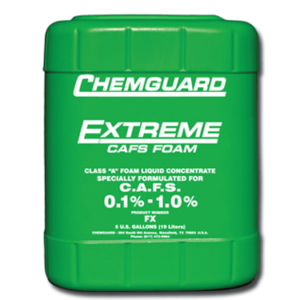 This ensures the production of a stabilized fluid foam, when proportioned at the appropriate rate, that will rapidly cover the surface of hydrocarbon fuels. The high stability of the foam blanket produced by aspirating our fluoroprotein concentrates ensures against the risk of reignition and provides excellent burnback resistance.